SecureBlackbox is a comprehensive library that adds support for SFTP, FTPS, SSH, PGP, PDF, XML, S/MIME, SSL/TLS, HTTPS, PKI, ZIP, EDI, Cloud, WebDAV, SAML, Office security to your PHP web pages and scripts. 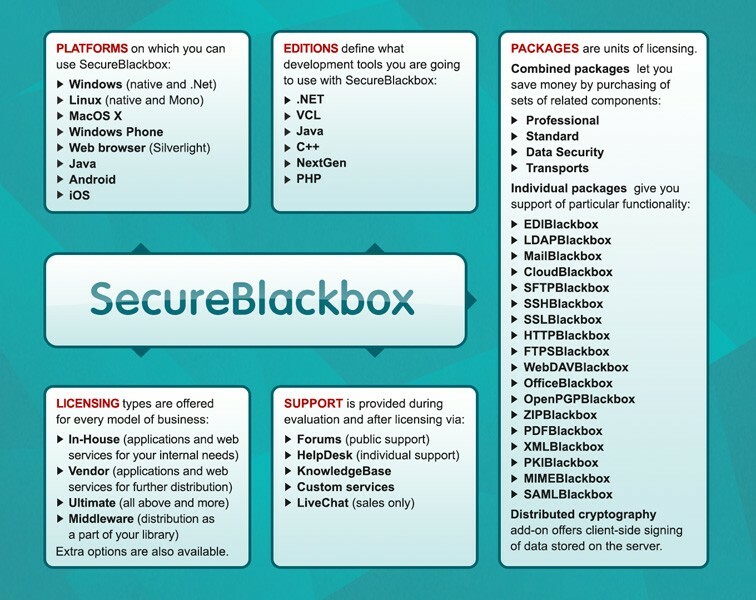 SecureBlackbox primary goal is to provide basic technology for the wide range of applications, hiding the details of low-level protocols and algorithms, used by the parties during secure communications. This is PHP edition.